What is Smoktech Anodized SID? Smoktech Anodized SID is a new innovation electronic cigarette Mod ala Advanced Personal Vapouriser. The Smoktech Anodized SID is variable voltage electronic cigarette unit which allows you to change either the voltage or power output applied to your atomizer. With its intelligent electronic circuit, the device ensures that it will always deliver a consistent voltage or power so that you can get the best possible experience from your atomizer and e-liquid. The SID is Smoktech's latest high performance advanced personal vaporizer (APV). 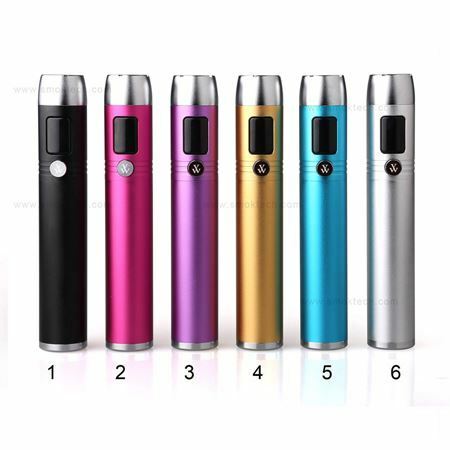 This model features the latest e-cigarette technology innovations for a superior vaping experience. Not only that, this design houses the best technical features, it's a good looking device as well. You'll find variable voltage and wattage and a 4 amp circuit to stand up to the most demanding cartomizers. The circuitry is contained in the head portion of the SID which can be removed from the battery tube. The battery connector is also located on the head and features a cone to dress up the connection. Smoktech's SID is eGo compatible and works with even tricky clearomizers like the Kanger Protank, Kanger Aerotank and Aspire Nautilus. Combined with the advanced features, this should make SID one of the most versatile devices in your collection. The SID can read your output voltage, battery voltage and cartomizer / atomizer resistance. Note: Batteries, Charger and Eliquid are not included in this kit. Please make sure to order them seperately.